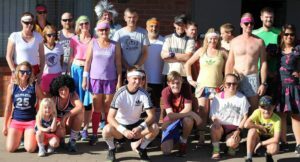 Cobram parkrun is looking for pacer roles for 1st January at 7.50am for 8am start. If you are interested please let Lynette Anne know! Remember, there is a great feeling of accomplishment when you help someone achieve a PB. Check out all the news from this weeks parkrun. 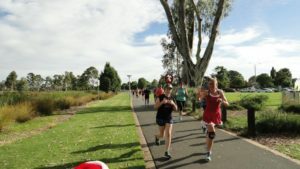 Welcome to the Christmas edition of parkrun weekly news. Yet again it was a day of celebrations, many family and friends from near and far coming to join in the fun and even a few glimpses of the ever elusive Santa and Mrs Claus. 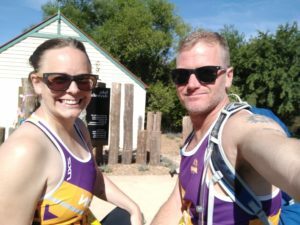 We have great pleasure in announcing that Ballarat parkrun is working with Castlemaine parkrun to provide the opportunity to complete a New Years Day double. Ballarat will start at 7.30am to allow our athletes to travel to Castlemaine where the parkrun will be starting at 9.30am. It was a fun event in 2017 and we would love you to join us too but Don’t forget your barcode. 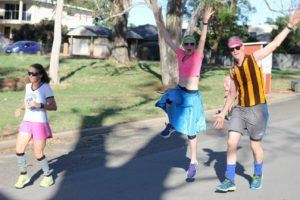 The awesome New Year Double parkrun is back for 2018. 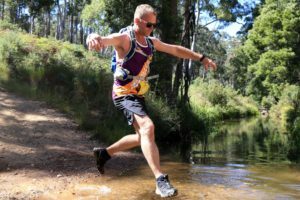 Run or walk Bendigo parkrun at 8am, hop in the car and make your way to Castlemaine parkrun for an extra special only day of the year second parkrun starting at a special time of 9.30am. Our friends in the other lesser known Goldfields town of Ballarat will also be meeting us in Castlemaine after a 7.30am start for them. No Early Bird Entry Fee, but only $175.00 per team; $145 per school team. No Early Bird Entry Fee, but only $10.00 per individual, $20.00 per team. 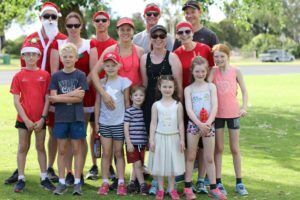 The Shepparton Runners Club would like to wish all its members, families and sponsors a happy Christmas and a safe new year. On Sunday, March 4 the Shepparton Runners Club will be involved in the Stadium Showcase event. Our club will get the opportunity to run on the Shepparton synthetic athletic track. The following is a copy of an email the club received from the healthy community officer at Aquamoves. Great news that the club wants to get involved in the Stadium Showcase event. The event will showcase the Stadium and the facilities it has on offer. The community will be invited to come along and try their hand at basketball, badminton, table tennis, netball, group fitness sessions for older adults and now the running sessions. The showcase will run from 11am – 1pm and you will be able to run your running session from the track during this time. We will send through more information close to the time. 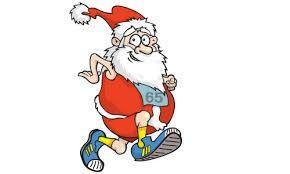 This week is our special ” Last one before Christmas” parkrun. Maybe even Santa and his helpers might be at parkrun this week. 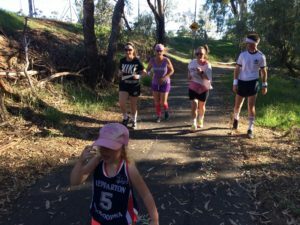 Check out all the news from Shepparton’s 201st parkrun. Come along this Saturday wearing your festive wear to get into the mood for Christmas. 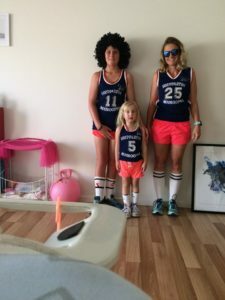 Just a reminder that on the 13th of January we will be celebrating the 4th year anniversary of parkrun with a superheroes dress up themed parkrun. Photos of our retro run More on the SRC facebook page and website. 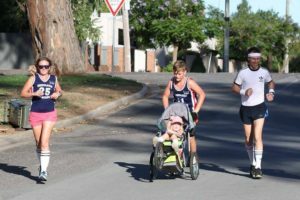 Summer Twilight Series – Shepparton Tri Club will be holding the second of our twilight mini sprint races on the evening of Friday 29th December. The race will be set up outside the Shepparton Triathlon Club Shed. Tom Collins Drive will be closed to traffic from around 4pm. We will have a marshall at the road closure from 5pm to allow competitors to drive through and park closer to the event. More information on the Tri-club Facebook event page. Click on the link below. 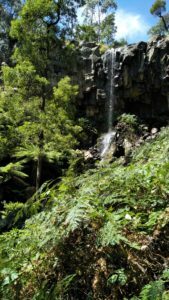 If you are looking for an inspirational read you may be interested in Turia Pitt’s blog. Like all blogs you will need to subscribe. In 2011, I was caught in a grassfire and suffered burns to 65% of my body. Surviving against overwhelming odds, I’ve rebuilt my life and defied every expectation placed on me. I’m living proof that, with the right mindset, we truly can achieve anything. Through my books, online programs and events, I provide the tools to help you step outside of your comfort zones, kick big goals and transform your life.